We're about to hit August here, and that means that the football season (that's American football) is about to fully get underway. Heck, preseason games will be happening this week! 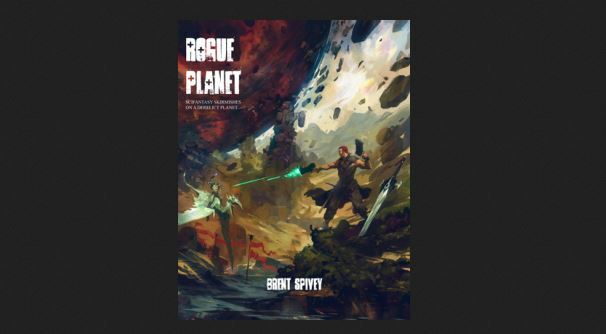 Seems like a perfect time to bring that bone-crunching action to your tabletop. That's where Techno Bowl from Bombshell Games comes in. 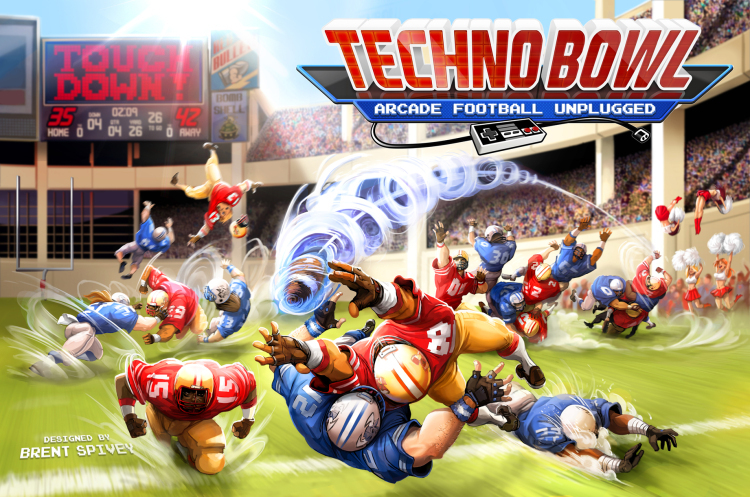 It's all the action of retro arcade American Football games, right on your living room table. It's available now. The American Football Season is still quite a ways away. But that doesn't mean you can't be getting some gridiron action going. 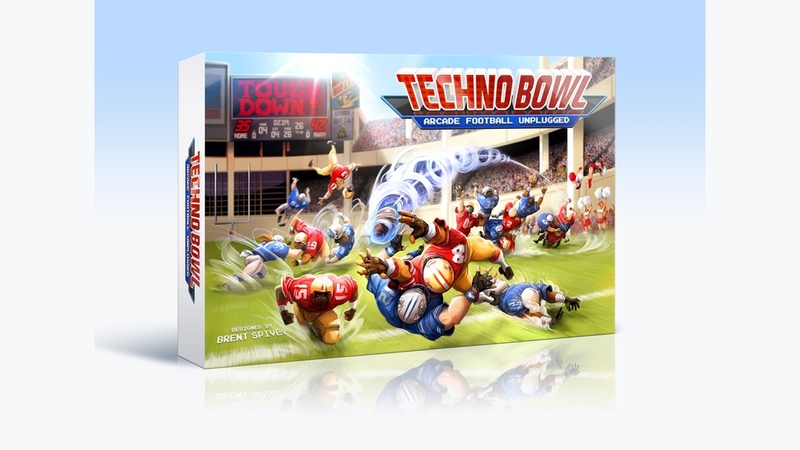 Or, at least, you'll be able to soon, as Bombshell Games has started taking pre-orders for Techno Bowl. Here in the US, the football season is underway. Many of you, I'm sure, are following your favorite teams (hopefully to victory). Quite a few have been playing various football video games quite possibly for decades now. But what if you want to unplug from your tv and go play a tabletop game? 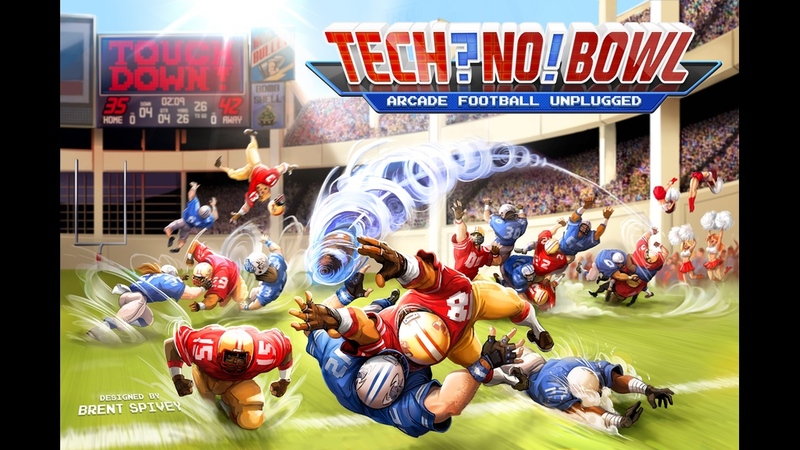 Well, Bombshell Games has something for you in the form of Techno Bowl, their tabletop game of classic arcade football action. It's up on Kickstarter now. 37! 18! 45! Omaha! ... Hike! For those that love the nostalgia of old video games, particularly old sports video games, this is a Kickstarter for you. 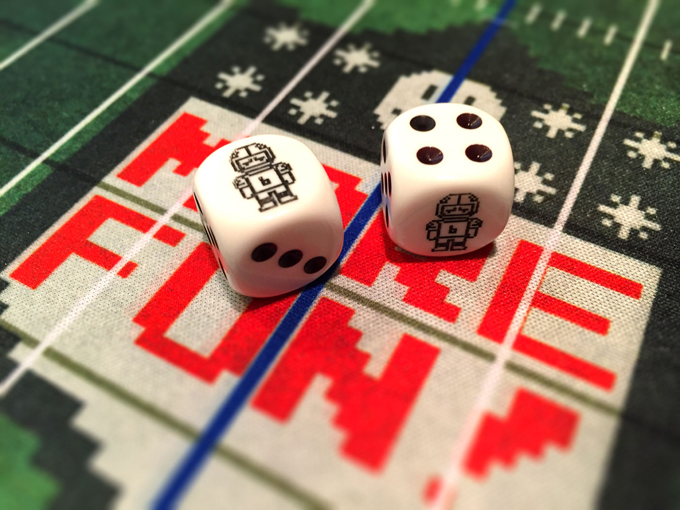 We've had various previews about Techno Bowl, the new board game that emulates classic 8-bit football video games. 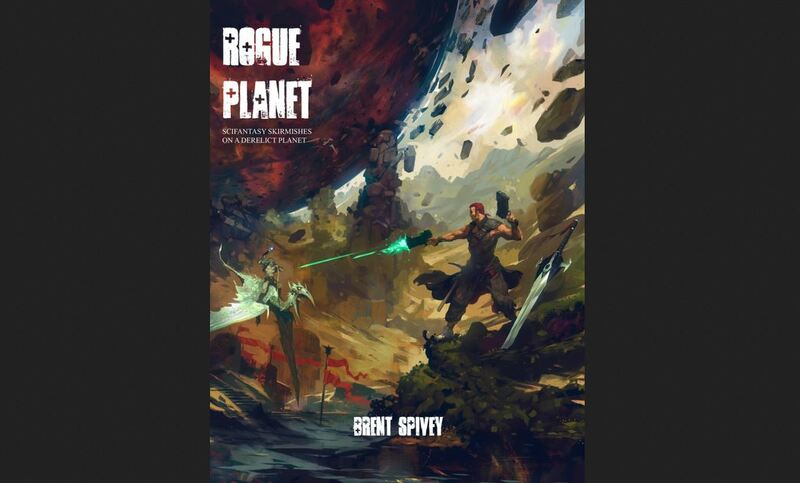 Well, the Kickstarter campaign has launched. Well, I certainly had a busy Saturday. Went through a lot of old gaming items that I'd not seen in quite a long time. Man, I never really could paint all that well. And here I thought it wasn't half-bad. Brought back a lot of nostalgia, but sometimes you gotta move on. Old games out. New games in. Speaking of new games in, we've got a couple bite-sized gaming stories to give you today. 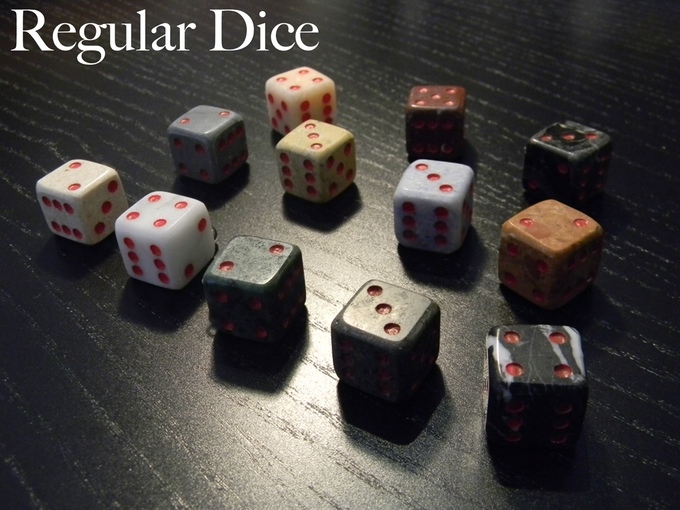 They include: Khurasan releases 15mm Sung Dynasty, Techno Bowl Box Art Previewed, Battle Valor Games Launches New 15mm Fantasy Range, Wild In The Streets Kickstarter coming March 9th, and Critical Mass Games 15mm Sci-fi Snakemen Kickstarter Launches March 31st. The best thing about Valentine's Day? And speaking of bite-size morsels of joy, let's get to today's Snippets. 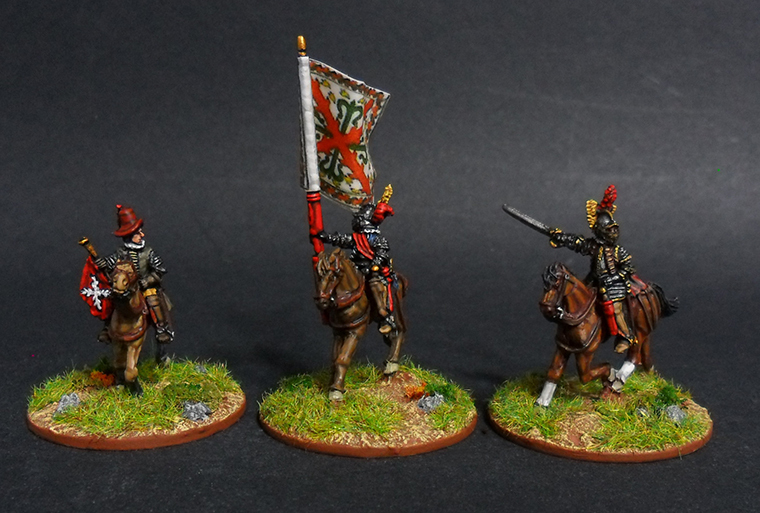 In this installment we have: Khurasan releases 15mm Late 16th Century Spanish, Hind Commander Sale Happening At Assault Publishing, Techno Bowl Helmet + Team Preview #2, and Oddzial Osmy’s 3mm and 15mm January Releases Arrive at PicoArmor. Bombshell Games has released their new Mayhem expansion for Stronghold along with an update to the Stronghold rules. Generals rejoice! The STRONGHOLD expansion is now available for download on Wargame Vault. 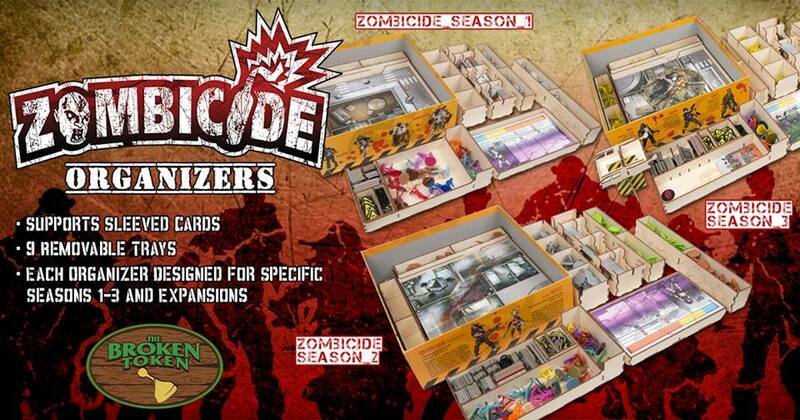 The new material has been combined with the core rules to create the Battle Chest edition. What does this mean? It means that all of your content is available in a single convenient location. Not only that, but for players that have already purchased MAYHEM, all you need to do is return to Wargame Vault and download the updated version of the rules completely free of charge! So, what's in the expansion? Bombshell Games has a special Winter Offensive Sale going on now over in their webshop. Bombshell Games has once again entered the Wargame Vault Winter Offensive sale. This means that all of my products will be 25% off until January 2, 2014 at 1000 hours EST. Bombshell Games is having a sale over on their website in honor of Battlefield 4 coming out. Go and get some real little mans for when you're not playing with the electronic little mans. To celebrate the release of Battlefield 4, I’m having a huge sale on The Battlefield so that you can get your FPS fix on the tabletop as well! The sale starts now and runs until November 11, 2013. 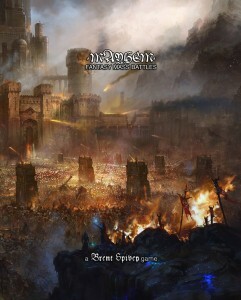 During this time the PDF version of the game is only $6.99 , and it is available on Wargame Vault. But wait… there’s more! The print version of the game is 50% off! Just use this link and enter the code ZCRWVMCU when you checkout. Note! This discount code for the print edition can only be redeemed here on the site and not on Amazon. This is a great chance for players that already have the PDF to pick-up the print edition or for new players to get both versions for a combined price that can’t be beat! Bombshell Games is having themselves a summer sale over on their website. It’s Summer again! Time for sun, surfing, and lazy afternoons spent playing wargames in the cool comfort of air conditioning. 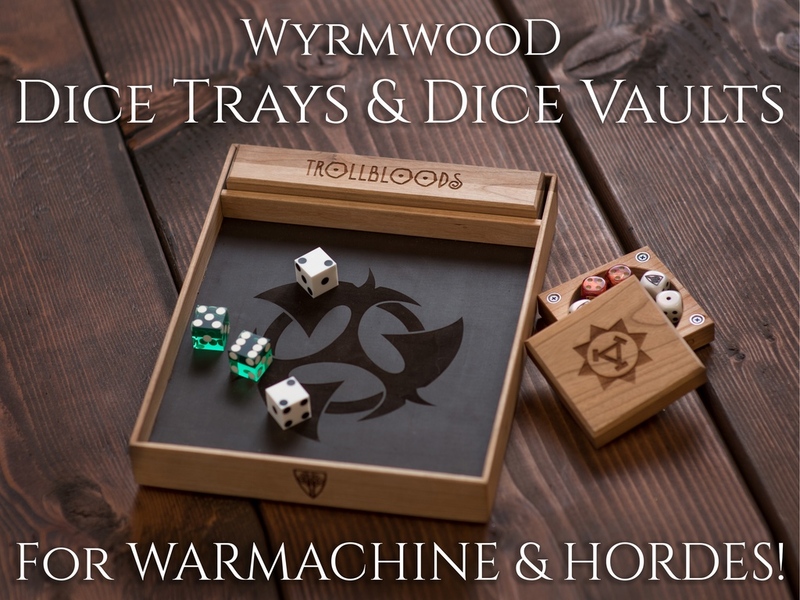 To help out, I’ve again teamed up with Wargame Vault to bring you some great bargains during the Summer Campaign Sale. From now until July 8th, 2013 at 1000 Eastern Standard Time, ALL products from Bombshell Games and Brent Spivey are 25% off! Bombshell Games is offering a bundle on their games over on their website that were Origins Award nominees. I’ve teamed up with Bob Faust to bring you the ultimate Wargame Vault bundle that will save you over 50% on three Origins Award nominated games and net you some terrain from Dave Graffam Models in the bargain. The idea here is to get this our games into the hands of as many gamers as possible before the convention. 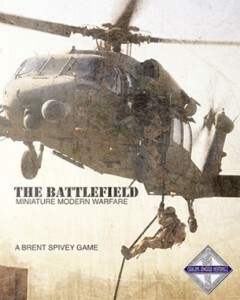 To that end, from now until the 2013 awards are announced in June, you’ll be able to pick up the Origins Award Triple Play Bundle that includes The Battlefield: Miniature Modern Warfare, Brink of Battle, HAVOC, and the Dave Graffam terrain pieces all for just $19.99! Bombshell Games has some new preview greens as well as concept artwork up for Dark Alliance. As some of you know, I’ve been working with with Steven Salotti of Microworld Games to create MAYHEM army lists for his 6mm fantasy line. What you probably don’t know is that this includes rules for both lines and miniatures not yet released. Intriguing- right? Well, Steve has been kind enough to let me give you a little peek at some of the concepts and greens for the upcoming Dark Alliance army. Behold! One of the advantages of creating lists for a specific line of miniatures is that, due to finite options, you can add more ‘army specific’ rules to give each force resulting in more character, uniqueness, and varied play styles. 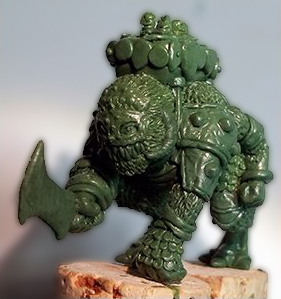 darkalliance-warbeast-mayhem-green1Scale plays into this equation as well, and developing for the Microworld 6mm fantasy line means getting to focus on some of the large epic creatures and combats that just don't happen at larger scales. Stay tuned for more images and information. Bombshell Games updated their books for both Mayhem and General's Compendium. Be sure you're playing with the most up-to-date versions! MAYHEM had been updated with new Crown costs for the MOV and CQ characteristics and a new recommended starting game size of 200 Crowns. These values have been revised throughout all the various documents and builders. These cost revisions have prompted a change to the Axe weapon trait - make sure to check that out! The General's Compendium is updated as well, and it now contains advanced rules for standing orders, 'setting' your troops, and charges. Not only do these rules increase the tactical options available to you, but they allow you to increase the size of the forces you can field in battle. As always, these updates are completely free of charge. To obtain them, simply return to Wargame Vault and download the updated files. I look forward to hearing what you think! Mayhem, the new fantasy mass-battles combat game from Bombshell Games, will be available tomorrow. Be sure to check it out. 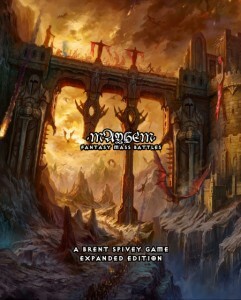 MAYHEM, the new fantasy mass battle game from Brent Spivey and Bombshell Games, will be available on Wargame Vault in PDF format tomorrow for just $7.99. Mayhem is coming your way from Bombshell Games. 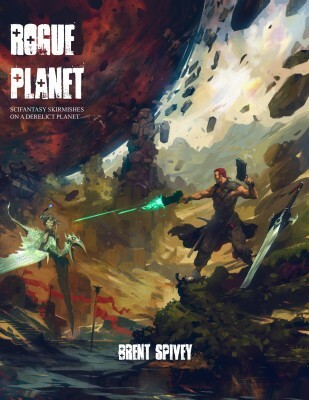 Brent Spivey is releasing his new fantasy mass battle game MAYHEM next week in PDF format on Wargame Vault. There will be previews and updates leading up to the release so stay tuned!